Summary: The Beekeeper will care for bee colonies and maintain hive equipment to sustain the health of the honeybee colonies and to promote maximal honey production. · Prepare splits of existing hives to produce new hives. · Mix bee feed and treatments to specified recipes. · Inspect hives for signs of disease, damage, starvation, or other threats. · Apply feed or treatments to hives in specified manner. · Add and remove honey supers from hive at appropriate intervals. · Operate extraction equipment to remove honey from supers. · Must be able to lift 50 lbs to chest height. · Must be able to work outdoors and in uninsulated warehouse year-round. · Must be available on occasion to work evening, early morning, or weekend hours to address bee health and logistics needs. · Proficiency driving forklifts and large trucks. 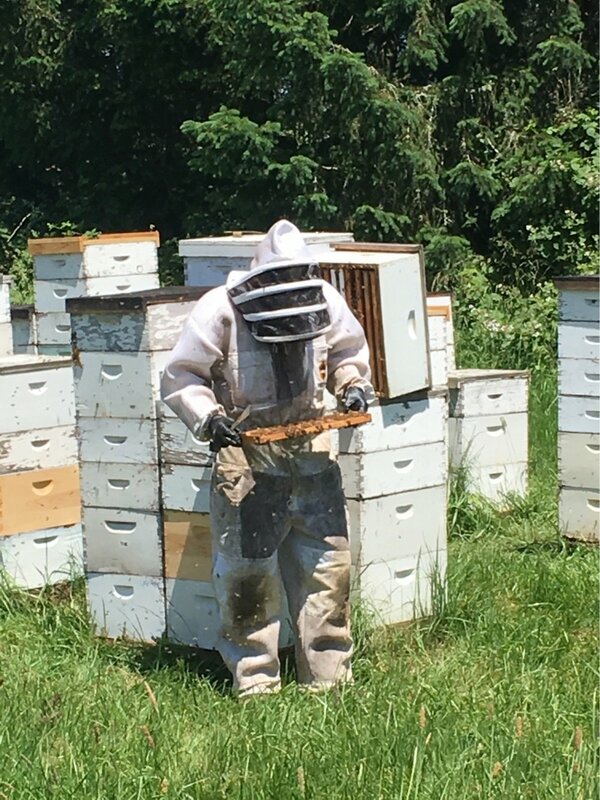 · Bee stings are an unavoidable hazard of this job. Pay: $11.00 to $14.00/hour depending on experience + seasonal profit-sharing bonus. To.Apply: Email a resume and cover letter to info@queensbounty.com. State that you are applying to the Beekeeper position.